Avizor’s Unica Sensitive multipurpose solution provides comprehensive care for contact lenses and has been created specifically for users with very sensitive eyes. The composition of the solution is gentle on delicate eyes and is enriched with hyaluronic acid , which is a natural lubricating substance. Sodium hyaluronate is a naturally occurring substance found in the eyeball and human joint fluids, so it is well-tolerated by a variety of users. 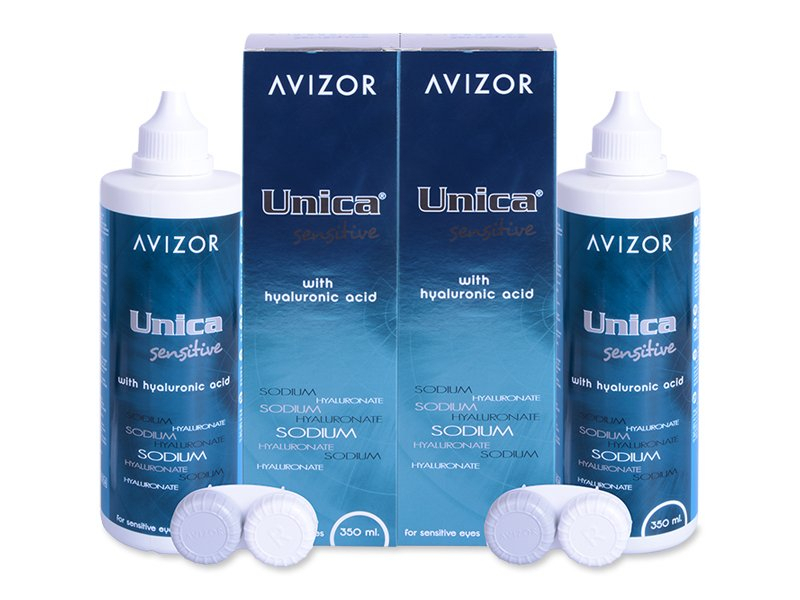 In addition to wearing comfort, Unica Sensitive solution delivers effective cleansing and disinfecting of contact lenses in between uses. In this convenient package, you'll find two 350 ml bottles and two lens cases to store and clean contact lenses. You can also choose to purchase Unica Sensitive in individual 350 ml bottles or a larger triple pack.